Investing is often viewed as a very complicated endeavor by people that are new to investing. They often believe that the only way to be a successful investor is to know many complex formulas and how to predict future trends accurately. While it is important to do some research before making an investment, you do not have to be an expert in all things investing to be successful at investing. Here are several easy investing methods that anyone can use regardless of their investing experience. If you are beginning investing and are not sure what you should be investing in, consider investing in index funds. Index funds are structured to match the movements of a certain financial market. The models that these index funds use for asset allocations are computer-based with little active management, so they are pretty easy to understand and the fees are generally low. Index funds are a good bet if you are interested in making money over the long term as studies have shown that index fund results generally beat the results of investments that are actively managed. Another good way for beginning investors to dip their toes into the investing pool is to take advantage of the investing options available through their employer. Many employers offer their employees the option to participate in 401(k) retirement investment accounts sponsored by the company (or a 403(b) plan if you are employed by a non-profit company). These companies also have investment advisers available that can answer any questions you may have or help you make an investing plan that suits your financial situation and future goals. There are a number of online investing services available that have streamlined the investing process to make it easy for anyone to invest. Investment service Loyal3 allows investors to invest as little as $10 in a stock and has created a tracking system that is very easy to understand (click here if you want to sign up – you can’t beat no fee investing). Investment service Betterment creates an investment package for you based on the investment goals you input into the system and your stated allocation of stocks versus bonds. These types of services are great for beginning investors because they provide simple to use tools that can increase the investor’s chances of success. 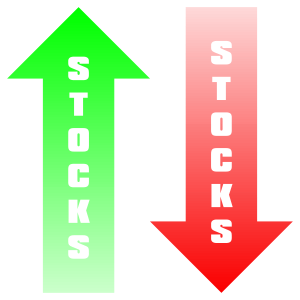 For more on stock investing, check out our posting on stock market basics.